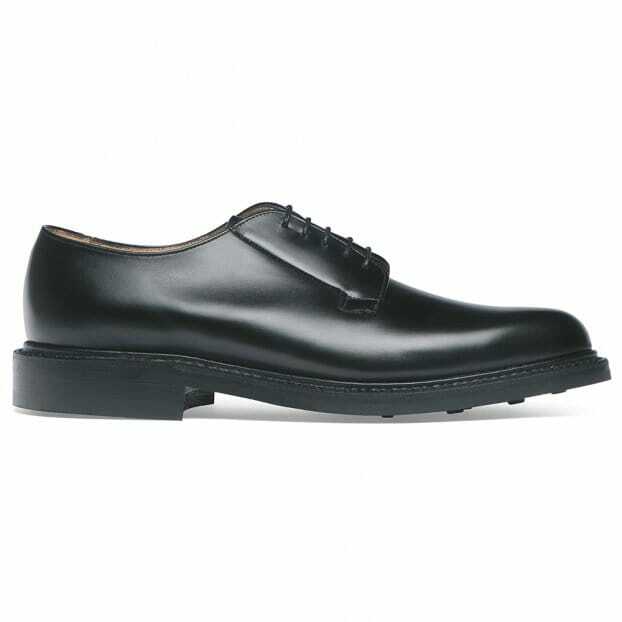 Round toe classic derby with twin stitched seam tab facings, hand finished in black calf leather, hand crafted in our Northamptonshire factory. Features a double weight Goodyear welted Dainite studded sole with storm welt for additional water resistance. What an excellent pair of shoes. Very well made and what classic looks. For me the best indication of a well made shoe is when you wear it for the first few days, it does not hurt your feet. Fits like a glove!